If you're an Influencer, Blogger, Social Media Manager… working hard to build a community focused business online, reaching your goals is done by creating and sharing content that people care about. Do you really know which of your content resonates most? ...find out. If you are an Influencer, Blogger, Social Media Manager… working hard to build a community focused business online, you know just how important it is to share information about your products and services but more importantly, building your community engaged and building it up to reach your goals is done with valuable content. Different people find different things valuable. Once you start getting thousands of followers you begin to realise, some people like make-up posts, some want fitness information others simply want to check out your travel pictures… creating great content takes time and you don’t want to waste your time creating things people don’t care about. Sure, your followers will say nice things in captions or give you a "like", but did they really go and read the post or watch your latest vlog? To get a clearer picture of how well you are engaging your followers, you can add a lnks.to profile to your bio and start seeing data on which content resonates best with your followers. You’ll no longer be posting in the dark, because you will clearly be able to see what your followers care about most. This allows you to gain a much clearer understanding of what you should be creating next. Analytics is all about collecting (anonymously!) on user behaviour. 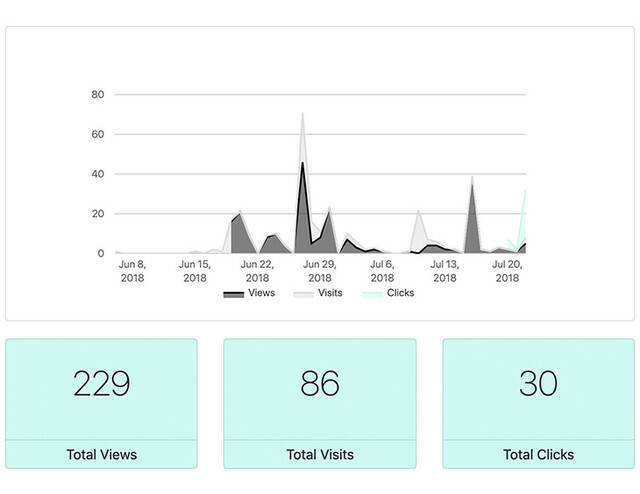 You might be using analytics already if you’ve got no idea what we are talking about, don’t worry, it’s simple - Analytics allow you to know if your followers are interested in what you are sharing online and what they care about most. How many people clicked on the link in your bio? Which types of content get the most clicks? Which link title gets the most clicks? What types of links get the most click? 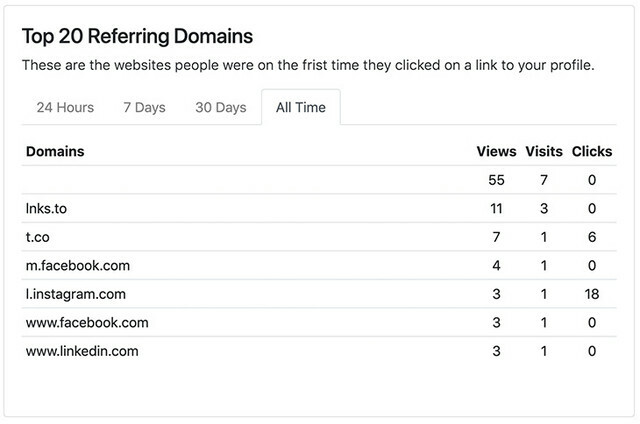 How many people have clicked on my links today, this week or this month? We’ve made getting started as simple as possible - you simply need 3 things, a profile, some links in your profile and a subscription. Once you’ve created your profile, simply add some links to give your followers the option to select the content they care about most. Each time a link is clicked, we make a note. Once you’ve created your profile and attached a subscription to your profile, you instantly get access to all of the data on clicks, views on everything you need to know to give your followers the best possible experience. You can view your Analytics at any time by clicking on the “Analytics” tab in the Edit section of your profile. To learn more about our affordable subscriptions click here.